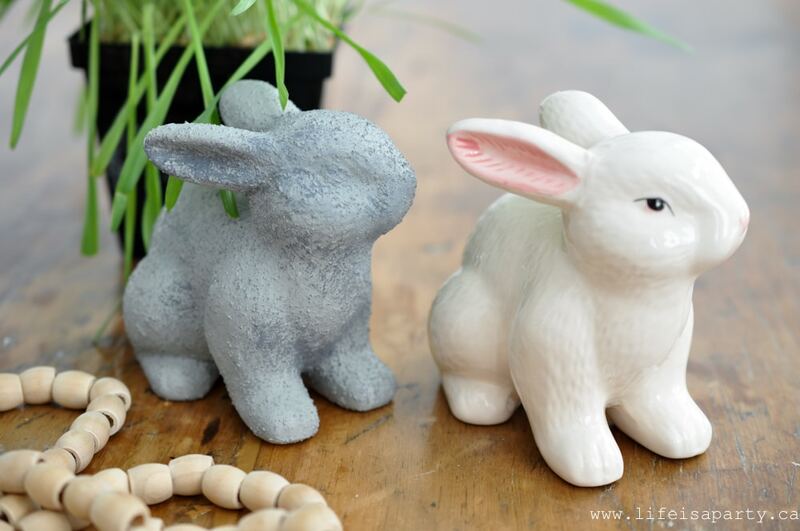 Concrete Look Painted Bunnies: These dollar store bunnies get an easy concrete look paint makeover and now look like expensive garden concrete bunnies. 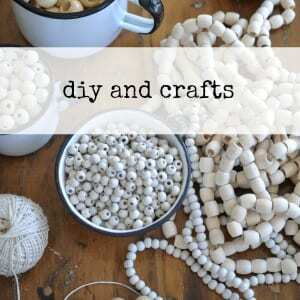 This idea is so simple, inexpensive, and looks great -so it’s ticking all the boxes. 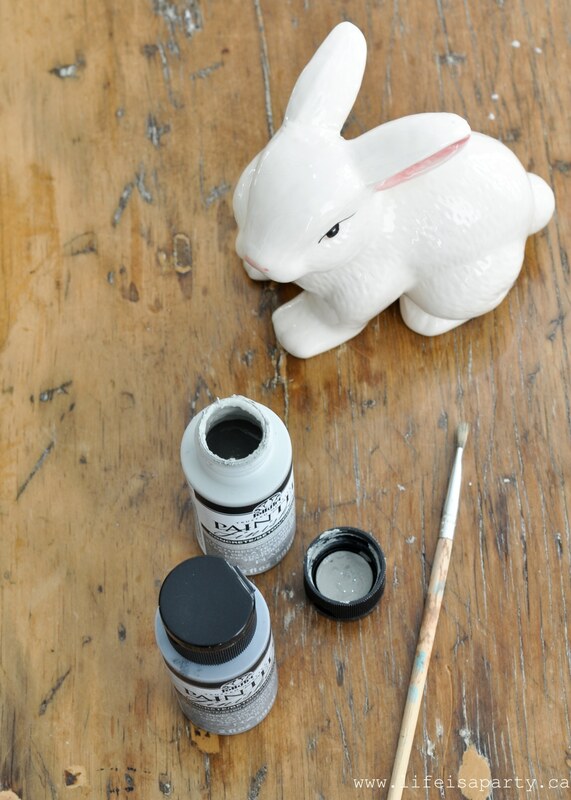 I used inexpensive dollar store ceramic bunnies and gave them a makeover with cement look paint. 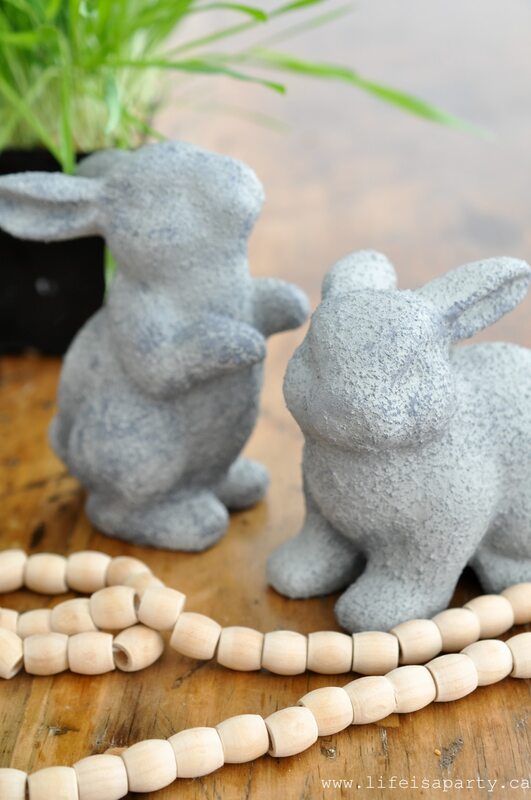 I love the look of cement these bunnies have now. 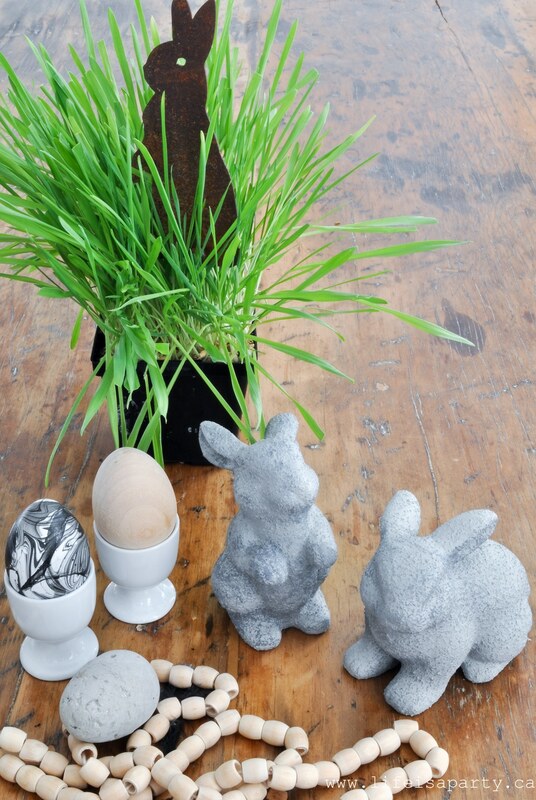 They look like pretty garden ornaments for a fraction of the price. 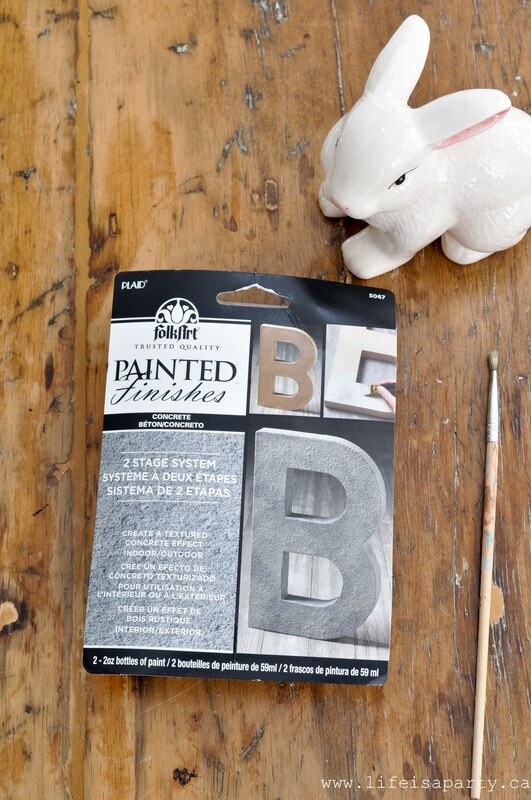 I saw this Folkart Painted Finishes Concrete set on-line and ordered it to give it a try. I really like how it turned out. 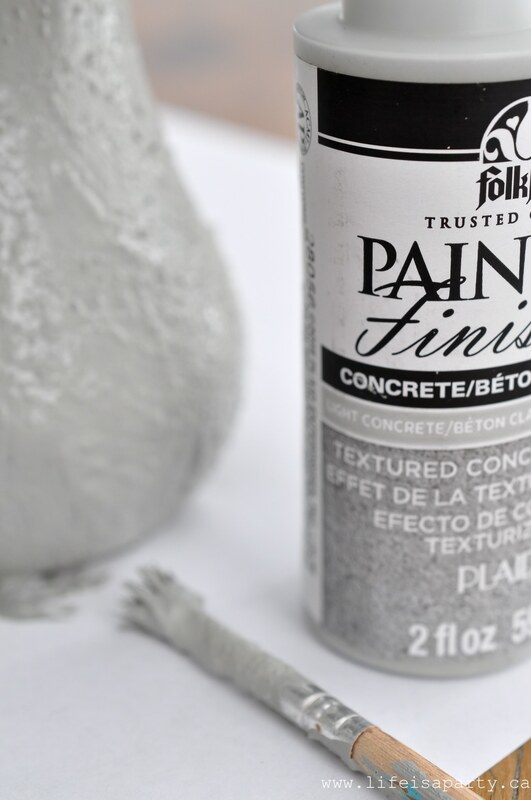 The paint is quite thick, and kind of gritty. It’s applied it in a kind of dapping way. There are two coats of the lighter base colour and then I added some of the darker colour in a few areas. 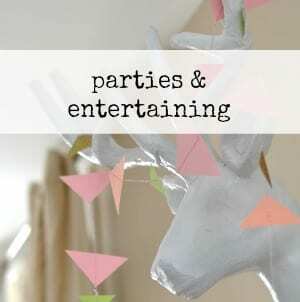 With Concrete look painted bunnies, life really is a party! 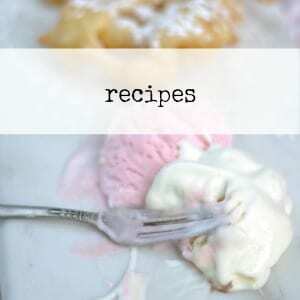 These went from being kitschy, syrupy sweet to really upscale and absolutely charming! What a great idea. I love the look. Love these! So smart and so sweet! 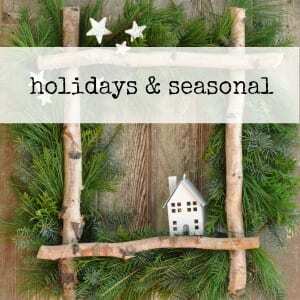 Here by way of Cottage Market feature! 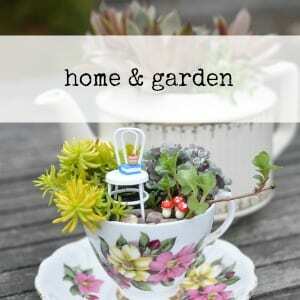 Would love to have you link-up at Homestyle Gathering tomorrow! Jauguetta, thanks so much for the lovely comment.